We know that working through the selection of available cruises and options for cruises in South America can seem confusing, so let us run you step-by-step through the process of selecting and booking your ideal itinerary. Cape Horn: The End of the Earth, Cape Horn is a headland in the far southern waters of Patagonia with a tumultuous history and stunning panoramas of the Drake Passage. The Chilean fjords: Home to some of the remotest, untouched parts of Patagonia, the Chilean fjords are a series of channels and islets where unique flora, fauna and more than a few glaciers dwell. The Beagle Channel: Named after the initial voyage of the historic HMS Beagle, the Beagle Channel is lined by subpolar forest, snow-capped mountains and tidewater glaciers. Magellanic penguin and sea lion colonies: A wealth of marine wildlife makes their home on the islets surrounding the Beagle Channel and the Strait of Magellan. You’re also likely to spot whales and dolphins in the water. Punta Arenas: A colorful city on the edge of the Strait of Magellan, Punta Arenas has its fair share of brilliant museums about Chilean and Patagonian history, as well as being within visiting distance of a number of penguin colonies. Ushuaia: The southernmost city on the planet, Ushuaia is set to the dramatic backdrop of the Darwin Mountain Range and the glassy waters of the Beagle Channel. It’s also an excellent spot for exploring the region’s history in its various museums. However, not all itineraries visit all of these highlights, so it’s worth deciding which are your must-sees before selecting your cruise. Patagonia is famed across the globe for its unpredictable, and often very cold, weather. During summer, temperatures in the far south are unlikely to exceed 51.8°F (11°C), while during winter, it can get as cold as 35.6°F (2°C) with heavy snowfall. As a result, South America cruises in Patagonia generally only sail between October and March when the driest, warmest weather prevails. But even during the cruising season, the temperature can fluctuate between 41°F and 59°F (5°C and 15°C), so be prepared with plenty of warm and waterproof layers. October is the ideal time for witnessing whale migration and is also the time that Magellanic penguins return to their rookeries to nest. January and February are when Magellanic penguin chicks hatch and the colonies are at their most active. Late February and March are the perfect time for whale watching. Cruises around Patagonia can range from one-day boat trips to visit nearby islands, to seven-night expeditions leaving from either Punta Arenas or Ushuaia that venture into some of the least-visited waters of the whole region. Some cruises even combine a trip to Patagonia with visits further up the coastline into central and northern Chile and Argentina. Obviously, the longer the cruise you book, the more sights and landscapes you’ll have the opportunity to see. But the length of your cruise will also affect whether your cruise is one way or a return trip. Expedition cruise ships between Ushuaia and Punta Arenas have the option of one-way cruises or routes that return to the original departure point. If you are planning on visiting other parts of Patagonia in addition to your cruise, it’s important to consider which disembarkation city is the most practical for your onward travel. Remember, Patagonia is a huge region, so distance and travel times between the two cities are large! 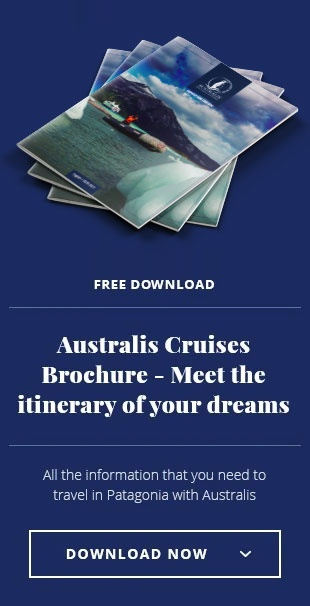 Step Four: Book your cruise! Hopefully, by now you’ll have decided on your itinerary and planned your dates. All that’s left now is to book your once-in-a-lifetime Patagonian cruise! 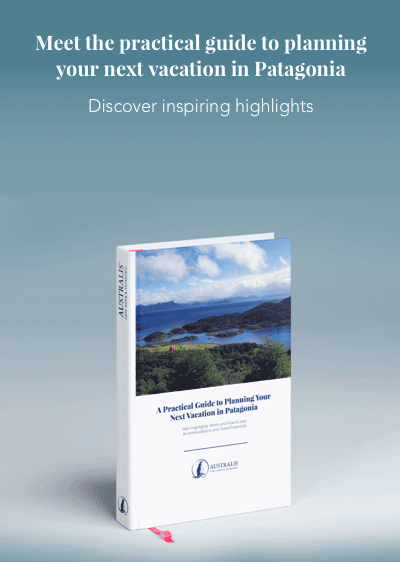 For inspiration and further information about our selection of award-winning cruises, please refer to our list of round-trip and� one-way expedition cruise itineraries.